Although it feels too early, the plants all look great, there are still lots of flowers and I'm not sure about you, but I'm still holding on to the idea it's not yet Autumn. So as a break from the holiday photos, a few photos form the garden. 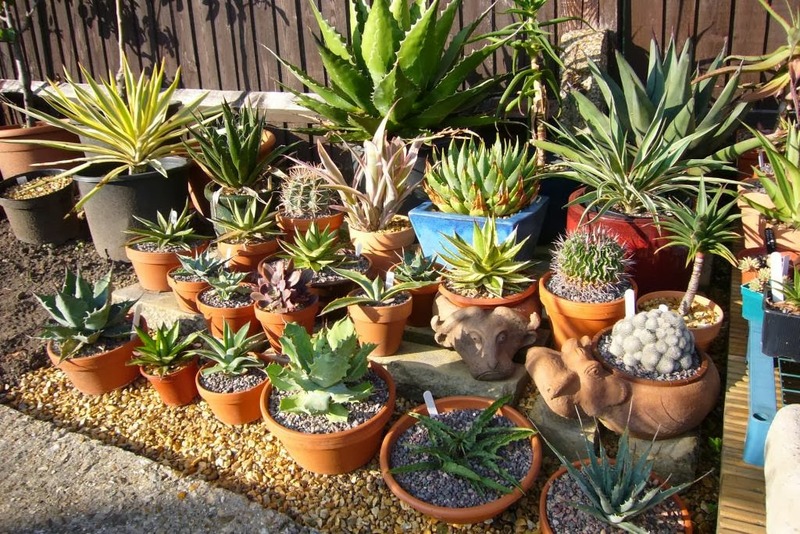 The pots are basking in the sun. The alpine trench is still going strong. Sadly the weather is due to break this weekend; with two weeks of rain forecast. 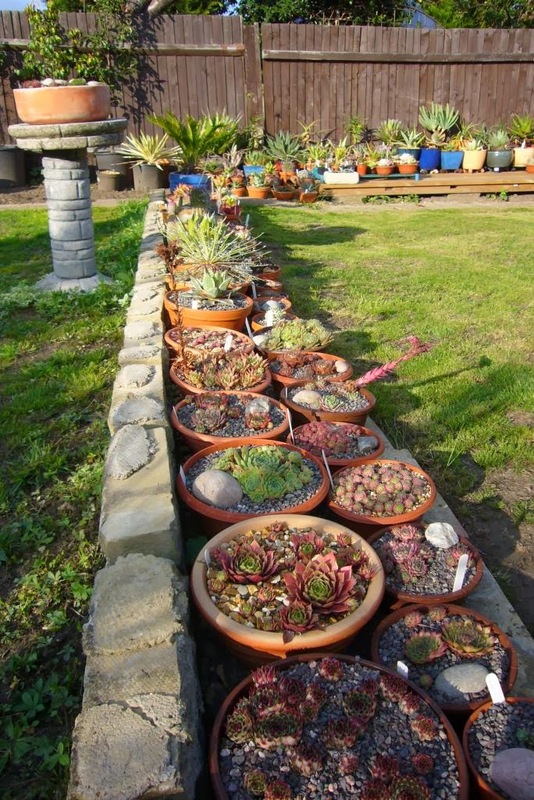 I am a firm believer in the idea that succulents can take more cold when totally dry. This means it's time for the rain shelters to start going up. As the garden is on hold until next year, it is not too upsetting to pack things up. This years winter protection will take the form of: inside the house (for the pampered), two cold frames, and an unheated greenhouse (which strangely is the coldest of the options). 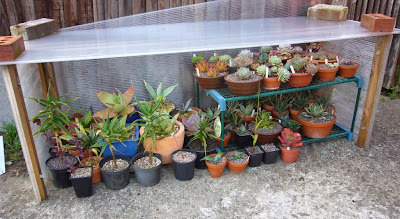 Having had many of the plants for a while, it is a fairly straight forward deciding what goes where. The problem is finding the inside space for delicate plants. I have to start sneaking them past my OH and onto the windowsills before she noticed the house has filled up. This year is not helped by the fact the big build is about to start, so most of the ground floor of the house will be building site with no space for plants. 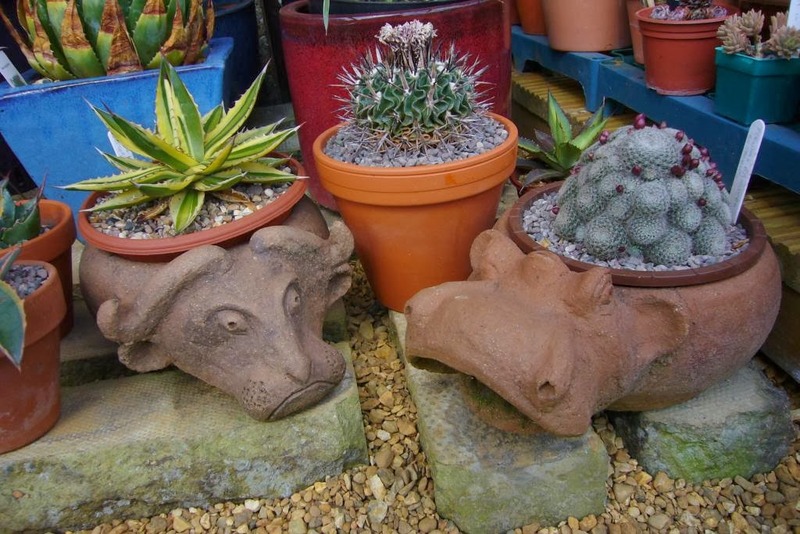 There may have to be some more creative storage of the delicate plants, I have put in for written permission to store more around the upstairs rooms. The pampered group tend to be the last to be moved, in the hope that they will have stopped growing to avoid leggy growth. So there is time to work something out. The first group to be packed up are those going into the warmer cold frame. These tend to be the ones I am really pushing to their very limits. 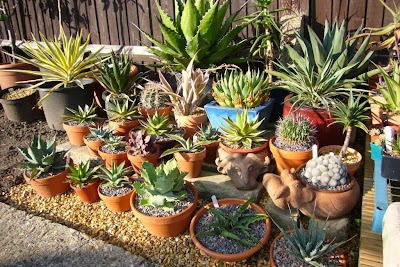 Some of the aloes and most of the echeverias tend to fit into this group. 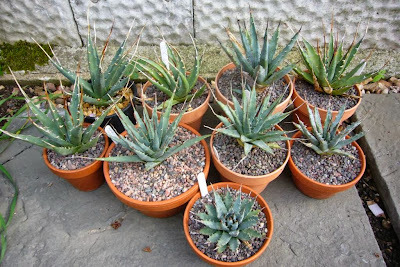 Some of the very slow moving agaves are stored under the echeverias, to make the most of the space. 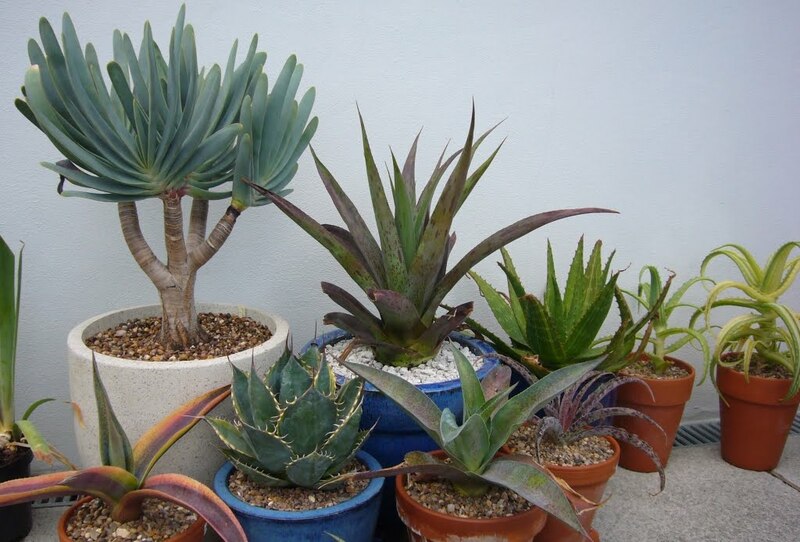 The best group being my set of agave utahensis which are very cold tolerant if kept dry. With a second cold frame this year, I am not packing this one as full as usual, in the hope that I can get to main plants easily to check on their progress through winter. The front can stay off until colder weather is forecast with the roof going on when rain is due. This allows me to still enjoy the plants and know they are drying out at the same time. One section down 3 to go. I know it's sad, but look on the bright side, it means at some point soon I will be able to bring back your favourite game show "Pamper or Freeze" (for those that have wiped the horror from their memory, last years game can be found here). Ah we are at the same place. I was in denial through last weeks rain but reality hit hard when the forecast started to call for 3-4" over the weekend. That's just insane. I hate to admit summers over but spent the last day and a half bringing things inside and under cover. Good luck to you! It sad isn't it. But better safe than get caught out and loose plants.